'Jubilaumsparty' - a true celebration of colour released to mark the 10th birthday of Zauberball! Multi-coloured Crazy Zauberball with lively pink, green, yellow, turquoise and blue. 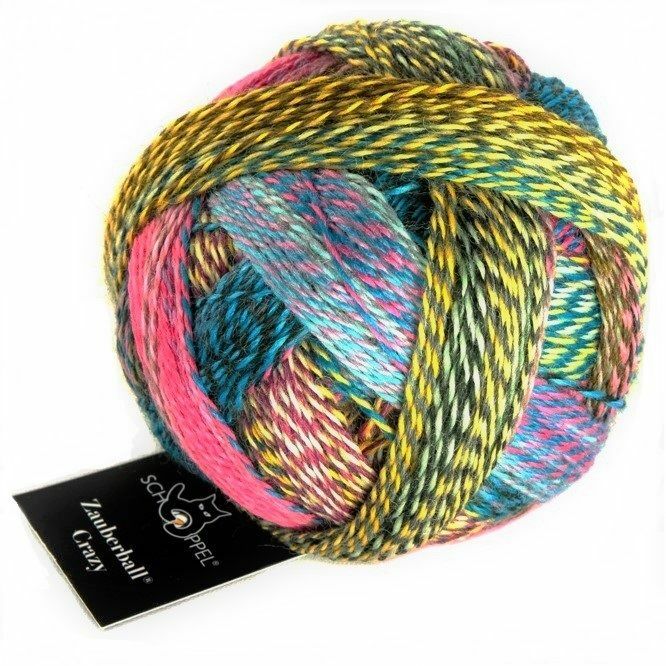 100g ball of wool/nylon sock yarn with a 2 strand twist giving a zany colour mix gradient; the ball has an irresistible hand-wound look.